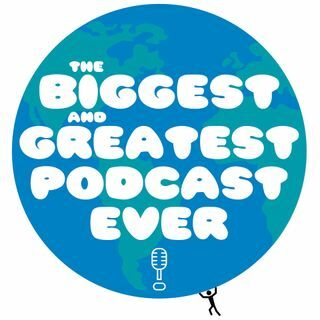 Episode 10 - Eric Kussin (We're All A Little 'Crazy') Part 2 | The Biggest And Greatest Podcast Ever! My guest Eric Kussin founder of We're All A Little 'Crazy' (www.weareallalittlecrazy.org), joins me as we delve into the myriad of mental illness that affects everyone. The recent suicide of a silver medalist cyclist, is one of many that occur weekly. Eric talks freely on this grave occurrence - that seems to happen more frequently. Not only in sports, but in all walks of life. Please listen as this is a serious matter that can save lives.